Just a peak, one will do, not one more, not one or two. Three is to many, four no more, soon you will see the whole picture, but you must visit my store. 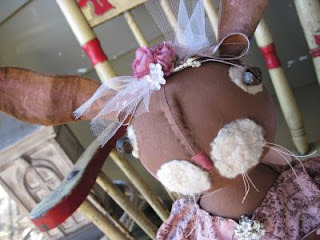 At the Humble Arts store you can see, the rest of this sweet bunny made by me. She is ready for purchase on that Monday, March 1st. On that day, you can quence all of your thirst. So bear with this little teaser coming from me and on March 1st the whole bunny you will see. Tee Hee!!! Over the course of this wonderful blogging event "One World One Heart" I received an email from a lady name Sharm (I think). Anyway, little did I know that she was hosting a horrible scam. They attached their blog to my Dashboard in order to promote their views which I STRONGLY are against in every way. As I am for world peace, loving my fellow man and all that I am not for being scammed to promote Palestine Power or will I ever stand against ISRAEL. They are the basis for my Christine heritage, where Jesus (whom I love) died and rose again for me and you, and as the Bible says to pray for the peace of Jerusalem. I do apologize for coming across angry, but I am so mad at folks who come in the back door to scam us into promoting their beliefs. So let me make mine clear, I am Christian, I love Jesus the son of the living God. I do not wish to offend anyone who has other beliefs than mine. But please use your own blog to promote your beliefs, not trick me into using mine. Those who used this wonderful event to scam us are cowards and snakes in the grass waiting to bite us with their twisted venom. I will pray tonight for the underhanded scammers and that I can and will forgive such pathetic tactics as they have pulled. For all who know me and know me well you know that I am not a screaming Bible thumper nor do spew this kind of anger at folks, but this was underhanded and as low as they could get. I also wanted you to be aware of this scam. I can only hope that the people who pulled this underhanded scam wake up and realize their sad error. 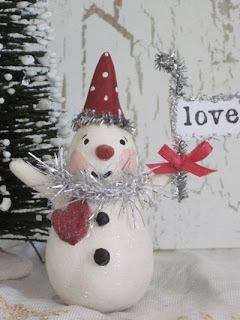 Snowman with a Heart and Flag: Linda of the Briar Rose! WINNER!!!! 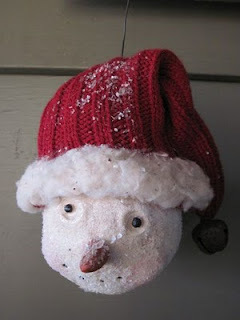 Sue of "Rabbit Hollow Prims" is the proud winner of my sweet Snowman giveaway. My son and I cut and folded each name carefully, stuck them into a very, very, very large bowl, shook it really good and he dug really deep, grabbed a name, gave it to me and walla, a WINNER! No this is not a spam notice, it is for real. LOL! Thanks to all of you who left a comment. 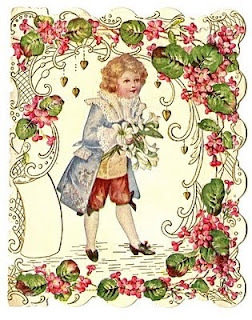 I have enjoyed each and everyone and plan on visiting each blog in the future to get to know you. Everyone is so creative and the blogs I have visited have sooooooooooooooo inspired me, aren't you!?! Please come back and visit me, I want to meet and get to know you and see all your wonderful creations. 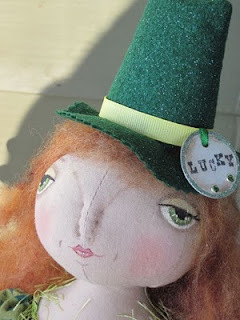 Today is the day I draw from my hat one lucky winner for the Snowman Giveaway. Are you ready? I am. I will post that winner's name after 5pm tonight. So there is still time for you late bloggers to get in on the goodies. Good luck. www.lemonpoppyseeds.com. come on over for a peak. 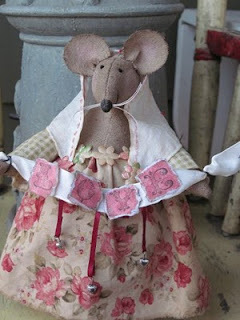 Her name is "Karina the Love Mouse". 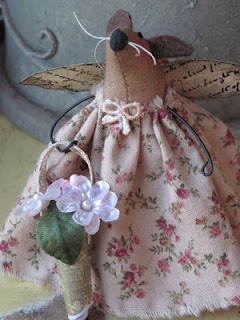 Many of the little mice you see below have been listed there as well. So stop on by, you are always welcome there. God bless.